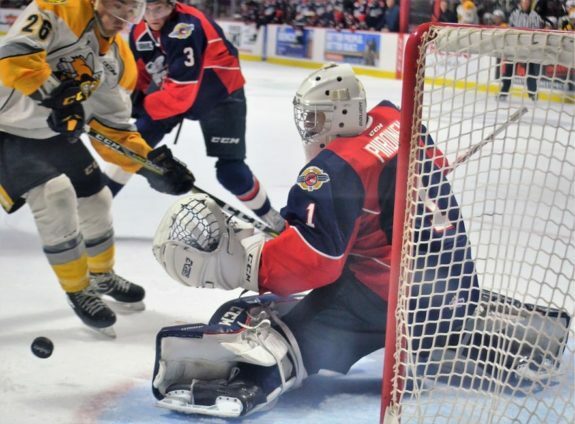 For the last season-and-a-half, the Windsor Spitfires have been working carefully on rebuilding a roster with future championship hopes. 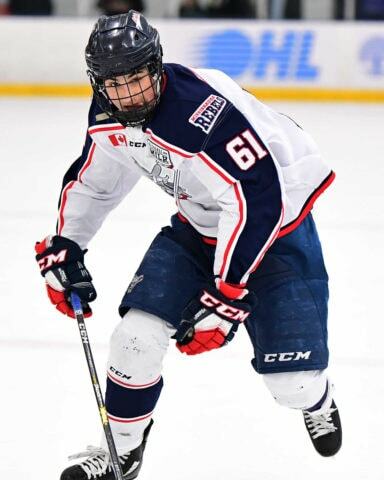 Despite new outside distractions, that focus remained firmly in place on Saturday during the 2019 OHL Draft. It’s hard to ignore the talk that a potential ownership change hovers over the Spitfires. That didn’t mean the talk would affect the draft, though. Spitfires general manager Warren Rychel had one goal in mind on Saturday and that was to add more pieces to the future championship-calibre puzzle he’s creating. When his turn came up, the first pick sent a buzz throughout the league and it’s one that could pay huge dividends down the roads. On Saturday morning, the Spitfires had the sixth-overall pick, which was their highest since 2015 when they drafted forward Gabriel Vilardi second overall. 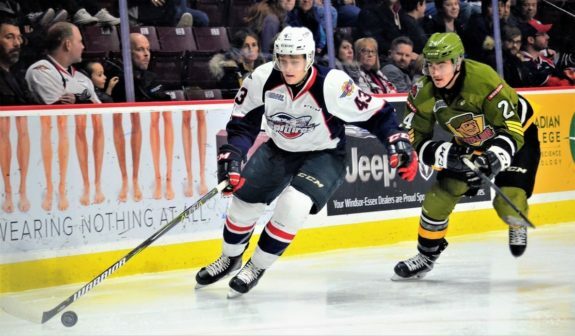 There were several names linked to the pick, but when the Spitfires were up, Rychel made his move. 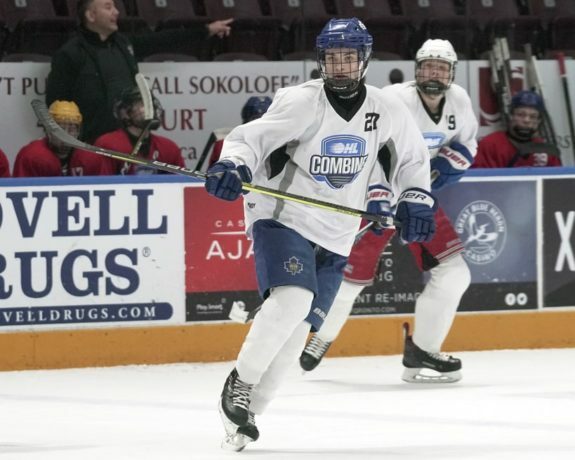 He selected 5-foot-10, 146-pound center Wyatt Johnston from the Toronto Marlboros. In 73 games, Johnston had 48 goals and 94 points. While Johnston was rated mid-first-round, Rychel liked what he saw as the season progressed. “He’s a modern day player, real fast and real skilled,” Rychel told the Spitfires after the selection. Neither Johnston nor his agent have yet to comment on being drafted by the Spitfires. With their second pick, 41st overall, Rychel stuck with offence, selecting 5-foot-11. 170-pound center Pasquale Zito from the Mississauga Rebels. Zito had 25 goals and 66 points in 38 games this season. TheScouts.ca reports Zito is a combination of speed and power and a player who can be very tough to knock off the puck. “I think I’m a 200-foot player,” Zito told the Windsor Star. Wyatt and Zito would join a young core of forwards that includes Spitfires’ 2018 pick Jean-Luc Foudy, 2018 third-overall pick Will Cuylle and 2017 sixth-round pick Daniel D’Amico. Scoring wouldn’t be an issue in 2018-19. With no pick in the third round, Rychel had to wait until the fourth round to shape up his future defence. The Spitfires have potentially five or six returning defencemen, depending on what happens with 19-year-old Thomas Stevenson. He could be an overage player in 2019-20. That leaves one or two available spots for the taking in September. With the 67th pick, Rychel stayed in the Toronto area by snagging 6-foot-2, 188-pound defenceman James Jodoin out of the Oakville Rangers. In 31 games, Jodoin had four goals and 21 points. Jodoin is a bigger defenceman and Rychel likes his offensive upside. He has the potential to make some noise at training camp next season and could seriously compete for a roster spot or an affiliate spot. This season, the Spitfires brought up 16-year-old Dylan Robinson from LaSalle Jr. B on a sporadic basis. Jodoin could see the same fate as he learns the pace of the OHL. Rychel stuck to the blue line in the fifth round, taking 5-foot-10, 134-pound Isa Parekh from the North York Rangers. Parekh scored 14 points in 2018-19. While he’s not expected to make the roster for a couple of seasons due to lack of size, the Spitfires like his intelligence and ability to create offence. After Parekh, Rychel drafted three more defencemen, all of whom the Spitfires will keep an eye on this season as they develop their game at lower levels. In total, Rychel and his scouting staff selected 13 players who they hope will make an impact on the roster either next season or beyond. Rychel told the Windsor Star that the main focus was over the long haul. “I think we just took a lot of players with a lot of potential,” Rychel said. The following is a complete list of players chosen after Parekh in the fifth round. Round 15 – RW James Doyle – 6-foot-1 170 pounds – Chicago Mission 16U. Doyle is also 16-years-old and was undrafted in 2018. 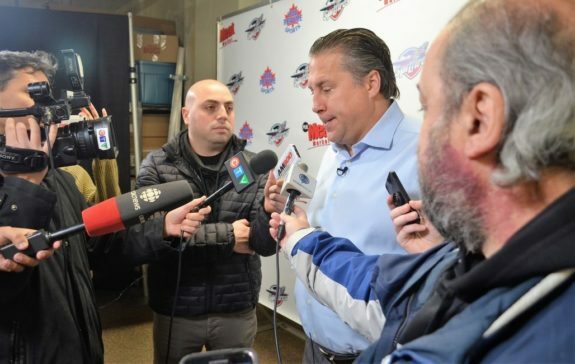 With the Priority Draft now finished, Rychel and the Spitfires now focus on the three-round Under-18 Draft, which comes on Wednesday evening. The Spitfires have picks five, 25 and 45. This draft is for Midget players (born in 2001 or 2002) who were left unprotected by their club and were carded with an Ontario-based Midget AAA hockey team this season. Following that, the summer continues, including the CHL Import Draft later in June. Last season, the Spitfires chose goaltender Kari Piiroinen in the draft. While the talk of an ownership change lingers in the air, right now it’s just that – talk. Understandably, the Spitfires did not comment on it on Saturday. Rychel and his staff were focused and had one goal in mind. They’re continuing to build towards a fourth Mastercard Memorial Cup roster. It’s a step-by-step process, and this weekend was another set of blocks added to the path. The future looks very good for this club and, with a little patience, the rewards could certainly be worth the wait.